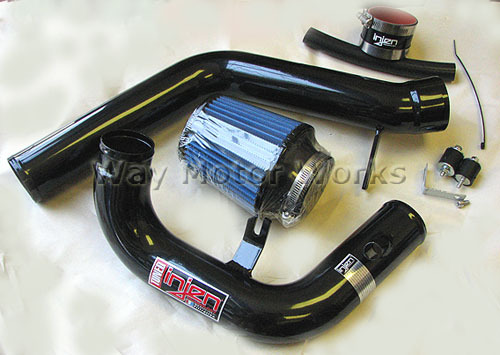 Injen Cold Air Intake FIAT 500 2011+ 1.4 L This is the Injen SP Series Cold Air Intake System for Fiat 500 and made for the enthusiast who wants maximum horsepower from a tuned cold air intake system. This cold air system mounts a high-flow air filter behind the front bumper, where it can take in cool, dense air. Cooler air contains more oxygen for more complete combustion and more horsepower. Manufacture claims up to 6 HP and 7 ft.lbs TQ Gain.